After two years marred by injury, Duncan Watmore is on the comeback trail with Sunderland. Adam Bate caught up with him to discuss the physical and mental challenges that came with the injuries, and why his charity work with Common Goal helped him get through it. 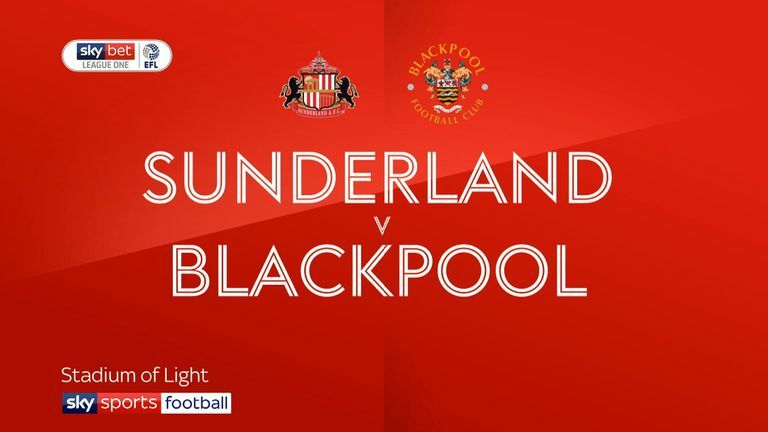 Sunderland's 1-1 draw with Blackpool on Tuesday evening was an unremarkable one in many respects. The home side had hoped for more than a point in their bid for promotion. But for Duncan Watmore, this game had more significance. It was the next step on the road to recovery. The first time that he had completed 90 minutes in a first-team fixture for more than two years. "Even now, I don't feel I am 100 per cent completely back to myself," Watmore tells Sky Sports. "I know that won't come for a while. But I feel as good as I can do at this stage. "Obviously, you are going to have some doubts but I am doing everything that I can. It is always a gradual process with an injury like this. It has been two years of hard rehab with both the physical and mental challenges but this is what you do it for - to get back on the pitch. The lads and the fans have been brilliant with me so I feel very lucky." Lucky is not the first word that springs to mind when assessing what Watmore has had to endure. His previous 90 minutes for Sunderland came in a 3-0 Premier League win over Hull in November 2016 back when his energy and appetite were being widely praised. He had been part of Gareth Southgate's squad that won the Toulon Tournament earlier that year. But an anterior cruciate knee ligament injury late on in Sunderland's next home game, a 2-1 win over then champions Leicester, put Watmore on a different path. After a year out, he returned to make another half a dozen appearances in late 2017 before rupturing the same left knee again. It is understandable that, for now, he does not feel like the same player. "When you come back, there are so many things that you need to get used to and it doesn't feel as natural as it did three years ago," he explains. "It is something where even if you might think it comes back naturally, it doesn't necessarily. It takes time to get used to playing at such a high level. "When you are constantly changing directions at high speeds, you have got to have faith in your knee and that takes time. Everything I do in the gym is to help my confidence on the pitch. I do a lot of preparation stuff because my body is still very susceptible to injury and I need to be aware of that." The challenge is also mental as well as physical. You spend all your time in the gym. You don't go outside. You can't because of your injury. So it feels like a completely different job in a way. It is so isolated. "When you are not around the lads and you are constantly doing your own rehab while they are training and travelling and playing games, it is tough," he says. "You don't feel amongst it. You spend all your time in the gym. You don't go outside. You can't because of your injury. So it feels like a completely different job in a way. It is so isolated." Of course, the added frustration for Watmore was that while he was putting his knee back together in the gym, Sunderland were unravelling. Back-to-back relegations saw them plummet from the Premier League down to League One and Watmore could only watch on as the malaise engulfed his team-mates and, indeed, the entire city. He was helpless but had the strength of mind to rationalise that. "I wanted to be able to help the lads but when it is such a long-term injury you have to accept pretty quickly that you can't do anything," he says. "It is not one of those where it is three months and then it drags to six months. "You know it is going to be a hell of a long time out and you have to learn to accept that quickly in order to overcome it. You can't be thinking every game that you should be out there. My best way of dealing with it was to accept that there was nothing I could do and just to support the lads." He took comfort in his community work at Sunderland and his own charity commitments. Watmore was among the first 20 players to join Common Goal, the venture launched by Juan Mata that sees players commit one per cent of their salary to good causes. "It is definitely something that has helped me, knowing that I am helping and what I am doing is contributing in some way to people who need it," he says. "The main motivation is to help but it has given my work a real sense of meaning too. When times are hard in the game, when you are injured and you are suffering relegation, that can be tough." Watmore, who has a first-class honours degree in economics and business management, has, appropriately enough, focused his efforts on looking at how sport can help education in this country. He has contributed to Street League and Sport for Life - "brilliant initiatives to be involved with" - and sees this as a long-term commitment. "Common Goal are really good at sending you updates about the people who you are helping," he adds. "I love reading stories like that and feeling involved so that you don't become too detached from the help that you can give. There are so many inspiring young people out there. "I am loving being a part of it." It is a similar story on the pitch where a team that had become all too used to losing matches have tasted defeat only twice in League One all season. "After experiencing the two years that we have had and the negativity and the relegations that were horrible for everyone, it is so positive to be around the place right now," says Watmore. "It is stating the obvious but results do affect the mood around the place and when you are losing every week there is obviously an inbuilt negativity however hard you try to get rid of it. When you are winning it is the exact opposite. With new owners and a new manager, there have been a lot of new faces around the place and it has been a really positive few months. "The fans have obviously got behind us tremendously after the years that we have had. We are very grateful. From my perspective, there is that reconnection that we had lost in recent years. It is great to be able to help the fans enjoy the games and give them the results that they deserve. It is a fresh start for the whole club and a fresh start that the club needed." Watmore deserves his own fresh start. Twelve games into his comeback, he is getting stronger. Sunderland boss Jack Ross praised his efforts against Blackpool, pointing out that he brings something different in the final third, and noting his improvement on the training ground. Watmore could play a big part from here on in but his own targets are more modest. "From my perspective, after being out for so long, the only target that I have is getting back out on the pitch and trying to play football," he says. "Any minutes that I gain are positive and a step in the right direction. I am just enjoying being part of it and I just want to help Sunderland get promotion. "And I am doing everything I can to stay on the pitch."